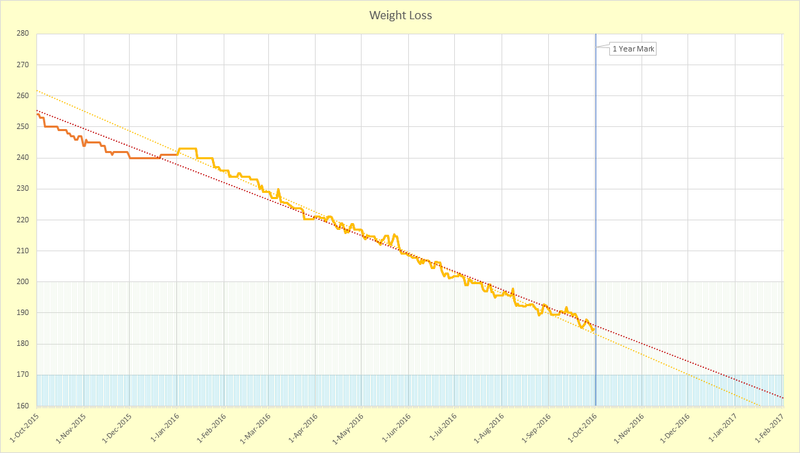 It’s been one year since I changed my diet in order to facilitate weight loss. I’ve lost about 70 lbs in that time. Still on track to meet my goal at the end of this year.